Ji-hoon Kim, Ph.D., Astrophysicist @ Seoul National Univ. 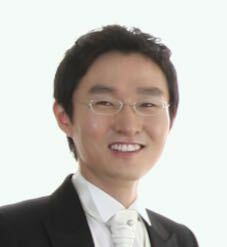 I am Ji-hoon Kim (CV in PDF), a scientist and an Assistant Professor of Physics and Astronomy at Seoul National University studying computational cosmology and astrophysics. My research focuses on galaxy and massive black hole formation using high-resolution simulation codes such as ENZO and GIZMO. I also have been coordinating a large cosmological simulations comparison project called AGORA. I was formerly a research associate and a NASA Einstein Fellow in the Department of Physics/KIPAC at Stanford/SLAC. Before that, I was an Einstein Fellow and a Moore Fellow in the Department of Astronomy/TAPIR at Caltech, and an IMPS Fellow in the Department of Astronomy and Astrophysics at UC Santa Cruz. Even before that, I received my Ph.D. from the Department of Physics at Stanford University. I always want to be a person who thinks and sees things from a different perspective. Look through my ongoing research interests. Stars, galaxies, massive black holes, and more! My curriculum vitae with full publication list. You can click here already for a PDF version. Links to my collaborators and to the world. After all, we exist in the links to others, not by ourselves. How do modern cosmological simulation codes fare against one another? Learn more about the AGORA High-resolution Galaxy Simulations Comparison Project I helped to launch. How do galaxies form in computers when we include the feedback from stars and massive black holes? How do these simulaitons help us gain a new insight into the lives of stars, galaxies, and supermassive black holes?